Der Artikel Jimi Hendrix: Valleys Of Neptune (180g) wurde in den Warenkorb gelegt. Yes, 12 new songs (over 60 minutes) 10 which were recorded Feb-May 1969. This release was supposed to be the follow up to Electric Ladyland but the band moved on to record Band of Gypsys instead. These 12 songs were found in the estate of Jimi's manager Chas Chandler who passed away two years ago. An album of previously unreleased Jimi Hendrix studio recordings is set for release in March, kicking off a brand new exploration of the legendary guitar virtuoso's life and works in the lead-up to the 40th anniversary of his death in 1970. ''Valleys of Neptune,'' a 12-song collection that includes the final studio sessions of the original Jimi Hendrix Experience lineup and Hendrix's first recordings with bassist Billy Cox, is set for release on Mar. 9 on Sony's Legacy Recordings. The album marks the launch of the 2010 Jimi Hendrix Catalog Project, a partnership between the label and Experience Hendrix LLC, the company charged with overseeing the guitarist's music and image. 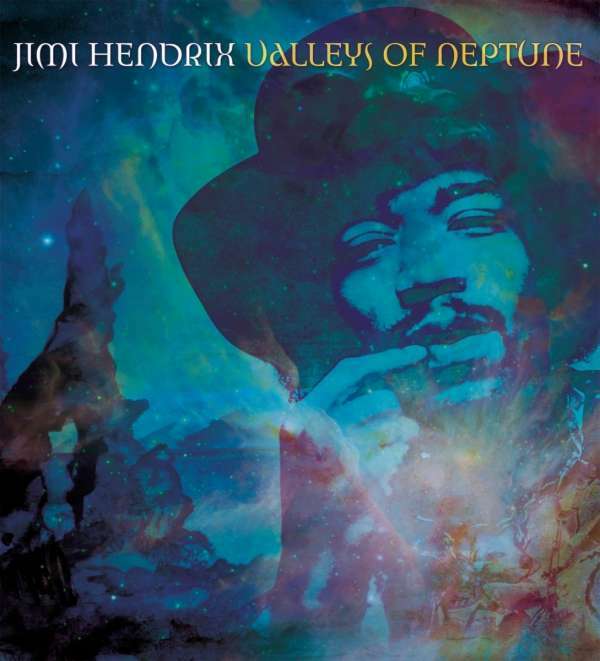 Taken mostly from several 1969 sessions, ''Valleys of Neptune'' was originally recorded and newly mixed by Eddie Kramer, the Electric Ladyland studio engineer who worked closely with Hendrix. Kramer used both cutting-edge digital and analog equipment to restore the master tapes to the original, pristine quality. The title track, much craved by Hendrix devotees, delivers on the promise of the musician's legendary trove of unreleased material: a fully realized song written and recorded by Hendrix at his creative peak in 1970 that had remained unrecovered for nearly four decades. The song will be released as a single globally on Feb. 2. Other highlights of the album include the only JHE studio recording of ''Hear My Train A Comin','' a Hendrix blues original that he often performed live; a searing instrumental take on Cream's ''Sunshine of Your Love;'' the extended stage arrangements of JHE classics ''Fire'' and ''Red House,'' recorded in preparation for the band's 1969 Royal Albert Hall concert recordings; and ''Mr. Bad Luck,'' one of the only original tunes the then-unknown guitarist performed in tiny Greenwich Village nightclubs in 1966. Hendrix died on September 18, 1970 at the age of 27, having released only four albums and a few singles in his lifetime. Immer wieder faszinierend, wieviele Aufnahmen noch im Archiv Lagern und was man aus diesen teils unvollendeten Juwelen noch machen kann. Der eine mag schnöde sagen Geld, der andere freut sich Musikgeschichte, die sonst verborgen bliebe, doch noch erleben zu dürfen. Da diese Aufnahmen natürlich bisher unveröffentlicht waren und hier von Jimis original Producer Eddie Kramer höchstpersönlich abgemischt wurden. Dieses Album soll die Lücke zwischen dem letzten Studioalbum "Electric Ladyland" und "First Rays of the New Rising Sun" schliessen. Wobei letzteres der Arbeitstitels des Albums war, welches als nächstes erschienen wäre, wäre Jimi nicht zu früh von uns gegangen. Also wer das mittlerweile postum erschienen First Rays kennt, weiss was ihn erwartet. Neue Arrangements bekannter Klassiker, wie "Fire", "Red House" oder "Stone Free", oder unbekannte Nummern, wie "Lullaby for the Summer" oder "Crying Blue Rain". Perfekt produziert und wie immer mit viel Liebe zum Detail. Bin mal gespannt was die Hendrix Family als nächstes veröffentlichen wird.